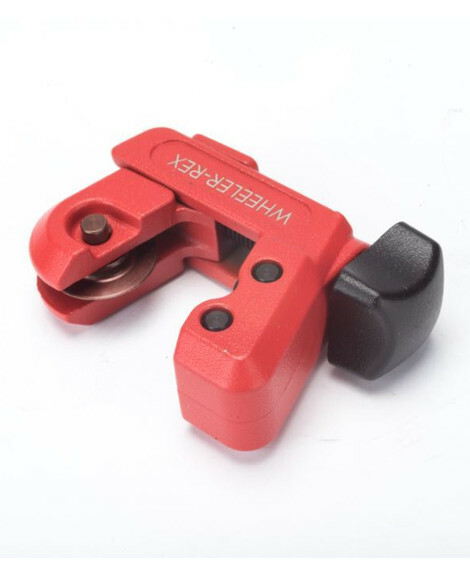 Wheeler Manufacturing was created in 1957 with a simple idea for a better pipe cutter, the chain snap cutter for cast iron and clay tile pipes. Since Day 1 our focus hasn’t changed: provide professionals with the hardest working pipe tools. Period. When pipe needs to be cut cleanly and quickly, count on Wheeler-Rex pipe cutting tools. Using a hacksaw can be difficult and messy and depending on your work location and layout, impossible. 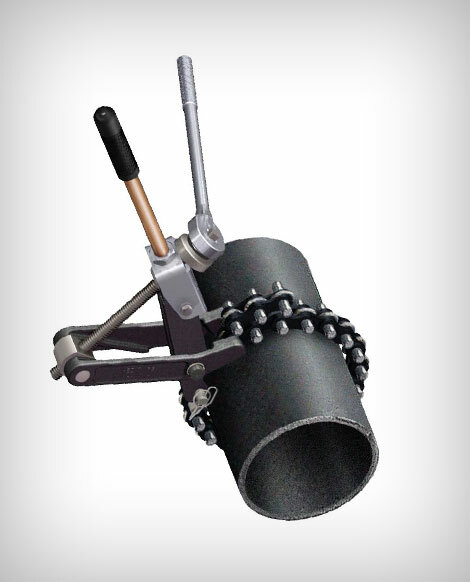 Using a hinged cutting tool with opposing blades can produce undesirable crimping or breaking of the end of the pipe. The answer? Wheeler-Rex pipe cutters and tools. 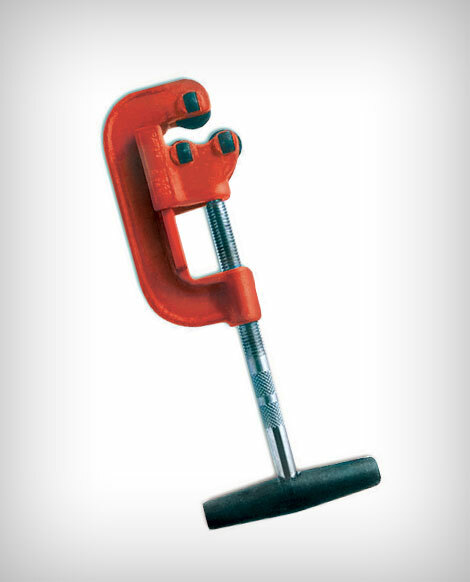 Manual Chain Pipe Cutters use a chain that wraps around the pipe you are trying to cut. When the chain is snug around the pipe, a squeeze on the handle tightens the chain and cutting wheels, causing the pipe to “pop” with a clean cut. Ratchet Chain Pipe Cutters also use a chain wrapped around a pipe but feature a ratcheting mechanism to tighten the chain and cutting wheels until it snaps clean. Hydraulic Chain Pipe Cutters are used to cut larger diameter pipe and use hydraulic pumps to snap the pipe. 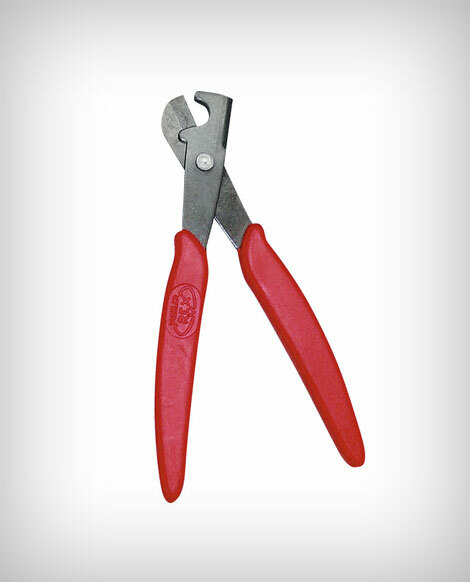 Other Pipe Cutters include orbital pipe cutters, hinged pipe cutters, steel pipe cutters and internal, or Capitol-style internal pipe cutters. No matter what type of pipe you need to cut, Wheeler-Rex offers the right tool. Wheeler-Rex offers a full line-up of pipe tools for the construction, excavation and plumbing trades. Professionals are able to choose from a wide range of Wheeler-Rex pipe tools including pipe cutters, threading and grooving tools, pumps, vises, shut-off tools, drilling and tapping tools, wrenches and much more. You work hard. You deserve the hardest working pipe tools. Period.